Happy summer time! 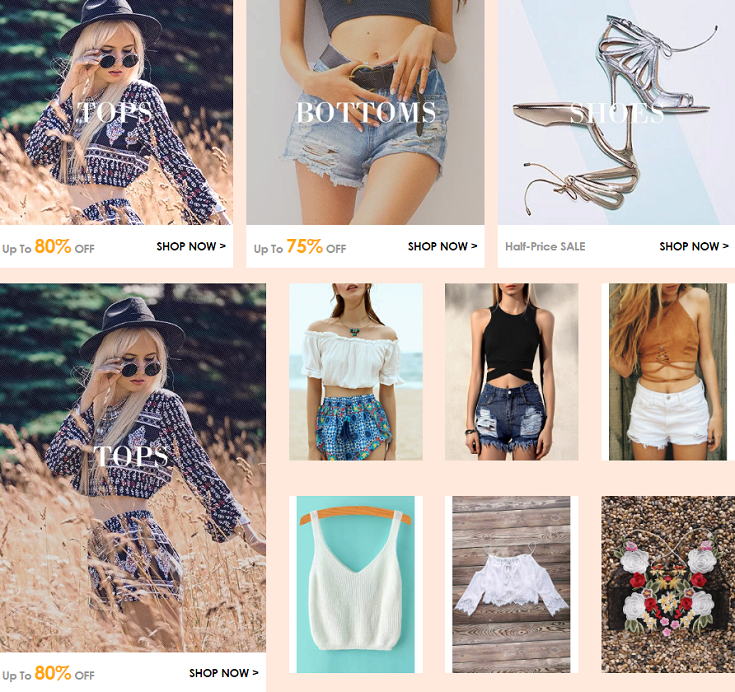 What's better than shopping for great deals and sales items at just a fraction of price? 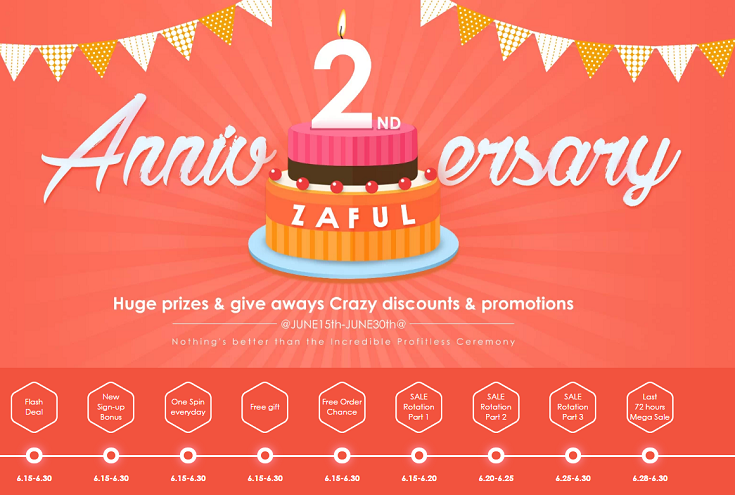 Recently, Zaful is having its anniversary celebration where we can enjoy alot of flash deals, lucky draw spins, sign-up bonuses, and massive sales on the clothing. From 15 June to 30 June 2016, you will be rewarded with a return of 22% of total amount of order upon meeting the specific conditions on the site, how cool is that! And I have found plenty of dresses that flaunt the style during this season....let's check it out. When it comes to the hot weather of summer, my favourite goes to chiffon dresses as they are lightweight and airy. For example, a white dress with lace details on the neckline gives an elegant yet sweet touch to the overall fashionable look. I think this is also the best time to put on the floral printed dresses, be it large or small prints to exude a touch of femininity. I particularly love the deep-V neckline along with an open-side skirt that makes the dress look sexier and prettier. If you are up for something cute instead, there are plenty of cute-looking dresses that I found on the website too! The off-shoulder flouncing loose dress in baby blue shade is so lovely to flaunt the collarbone and neckline. When paired with some cute sandals and oversized straw bag, you're all ready to hit the beach! Speaking of beach, what's summer without getting a perfect set of swimwear? I saw they are having sales for swimwear too, then you can pair them with crochet dresses too. Anyway, it's time to shop for All Kinds Of Dresses Here! Enjoy! I personally like the off shoulder stripes loose dress, perfect for the summer getaway. I can't wait to finish this best reaction paper for my professor so I can start my planned summer vacation. I will be traveling a lot so I'm looking in for some outfits that are easy to pack as I'll be away for two whole months traveling around.